With the exception of Ricky Walker’s dinged foot and a few gaffes (that were far outweighed by the positives), this was how most folks would draw up an FCS tilt. Given the big margin of victory, I’ll forgo strategy talk in favor of impressions. If there was a general impression I got, it was that Tech wasn’t afraid to open up the playbook a little to make sure they put the screws to the Tribe. 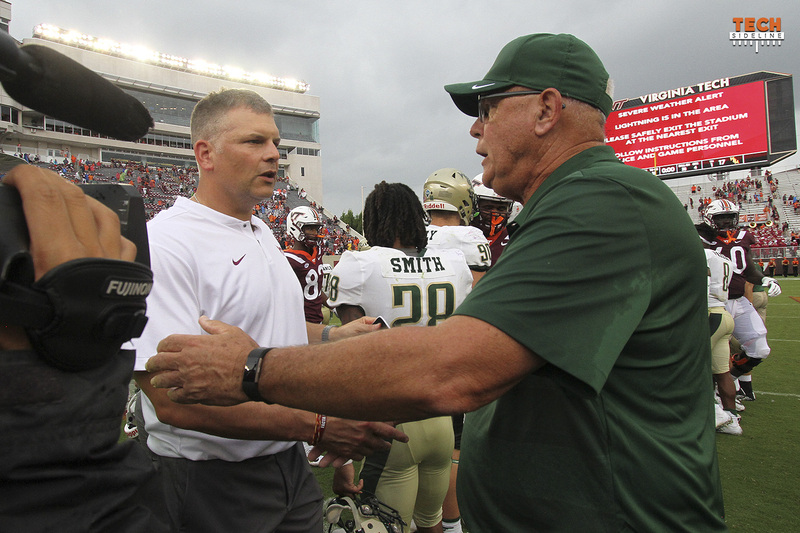 Misdirection and option plays were the name of the game for the offense, and on defense the Hokies threw out some looks that were seeking interceptions and also putting half the front in the backfield with the QB. With a few exceptions, Tech was pretty sharp given both the short layoff from a high profile away game and also the multitude of young players who were on the field. Here are a few plays (big and small) that jumped out at me.